This is a selection of charts of women who are (arguably) feminist but not (openly) Communist as per a previous post. Unlike my collection of political charts, it is nowhere near large enough to confidently draw conclusions from. This post is also somewhat tangential to the "libertarian" mission of the blog, but nevertheless strongly hints at patterns of sociopolitical interest that are worthy of further research. Pallas in the chart may have nothing to do with feminism, but I have yet to locate a "fully libertarian" Pallas configuration in a feminist's chart. 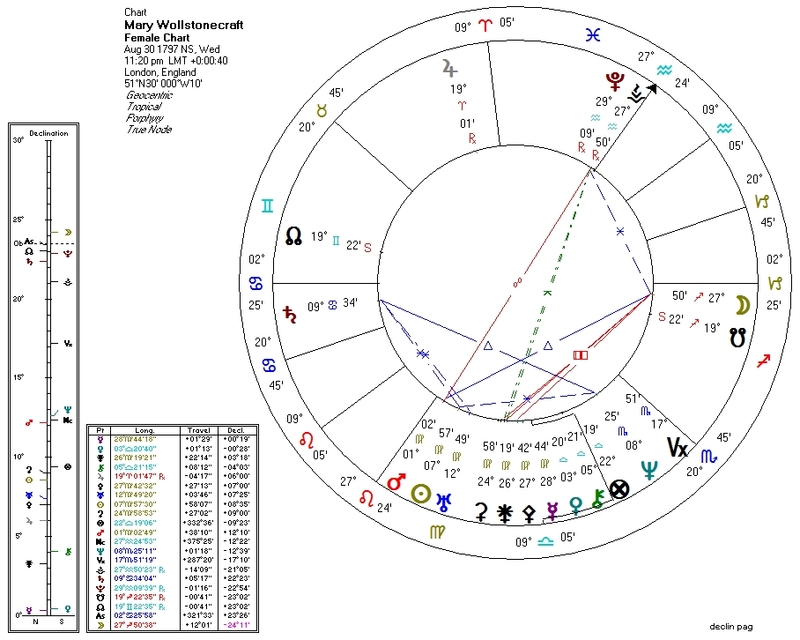 With the exception of Gloria Steinem, these charts generally have the standard "left-wing" chart configurations involving Neptune and/or the South Node detailed elsewhere. 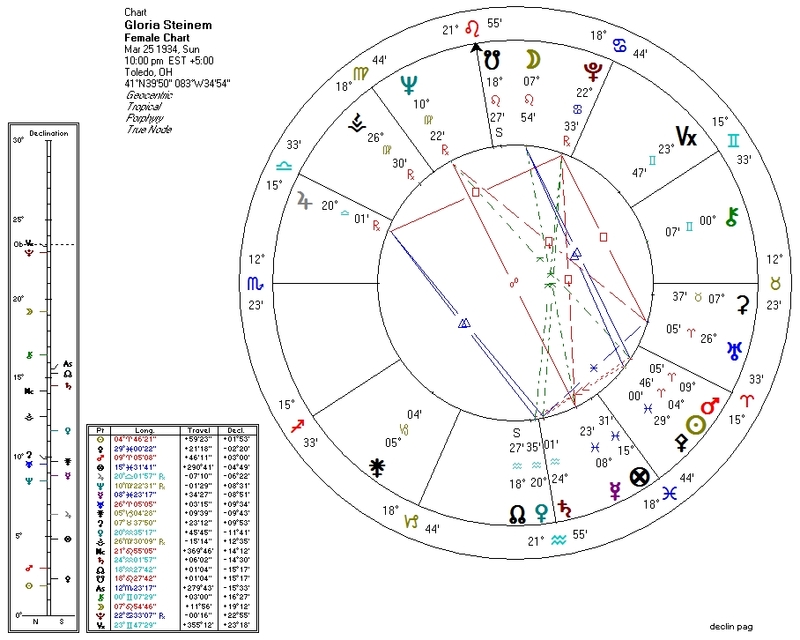 The factors highlighted here (Pluto configured with both the Moon and Venus) appear to be the most obvious factor that separate the charts of feminists from others. Gloria Steinem. Feminist leader and CIA operative. 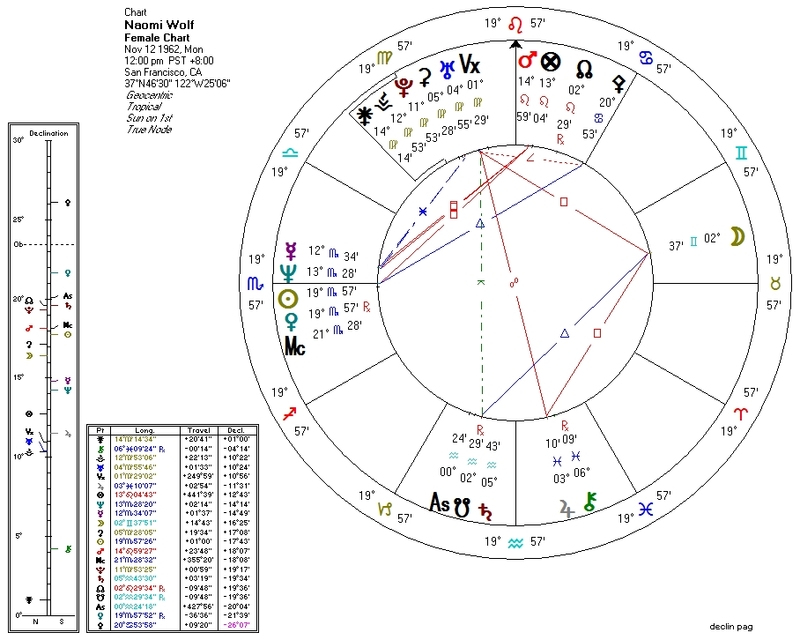 Elevated Pluto in Cancer (very) widely conjunct Moon and quincunx Venus. Helen Gurley Brown. The "fun, fearless, female" herself. 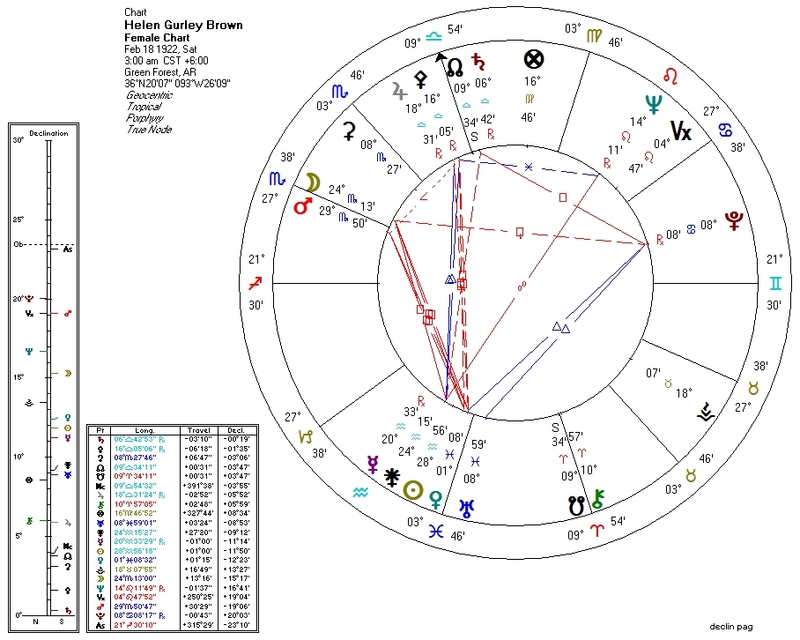 Pluto in Cancer sesquiquadrate Moon in Scorpio (mutual reception) and trine Venus. Madonna. Ageless pop goddess. Pluto conjunct Mercury (ruler of Moon) and Sun (ruler of Venus). Naomi Wolf. "Third Wave" feminist author of "The Beauty Myth". Pluto sextile Mercury (ruler of Moon) and ruler of Venus in Scorpio. Mary Wollstonecraft. Mother to feminism and Frankenstein. Pluto sextile Moon and quincunx Venus. We can probably interpret the Pluto-with-Moon-and-Venus configurations that seem so common in the charts of feminists in different ways. 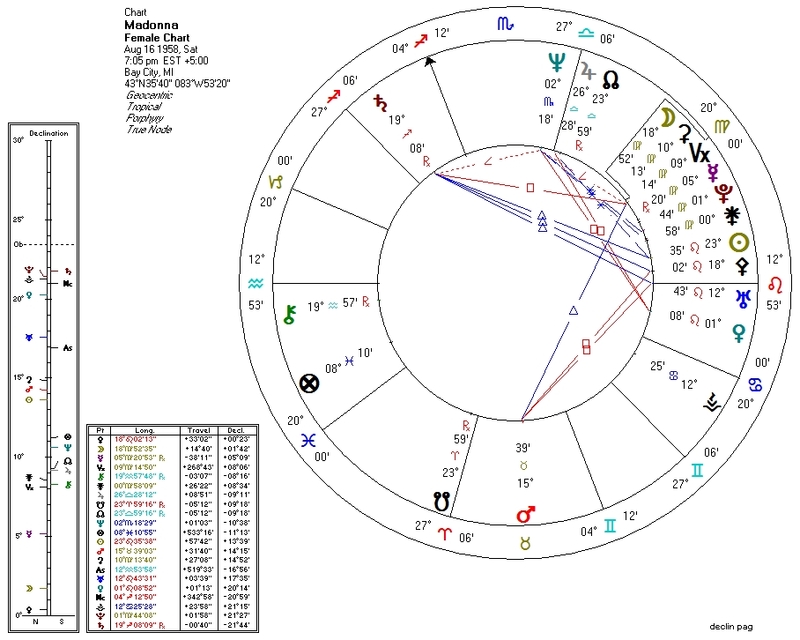 One one hand, there is an obvious connection between Pluto and death: these configurations may represent in some way the killing (and reinventing) of feminine energies. One could also interpret these patterns as the infusion of feminine energies with revolutionary and/or destructive power. Both interpretations (and others) are likely valid.